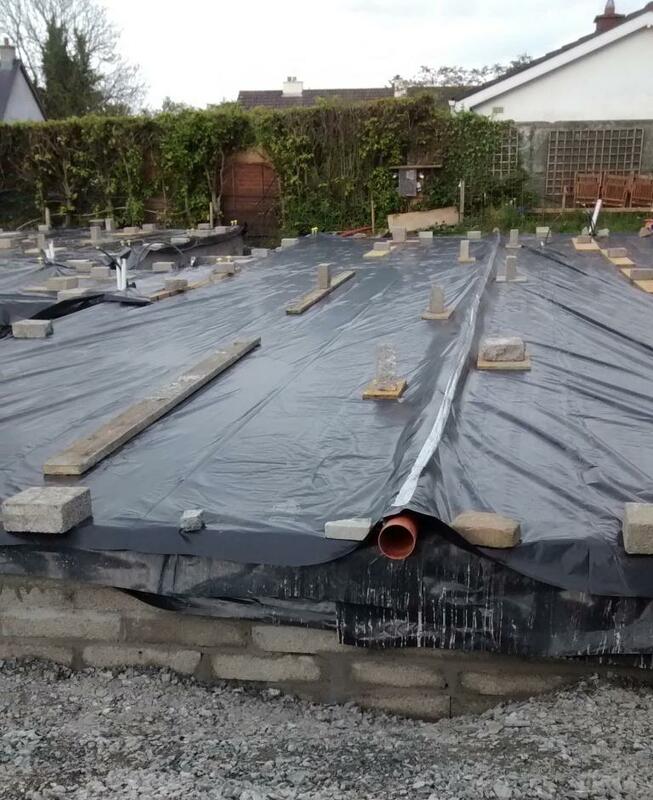 What is perplexing is that the product documentation says do not use it if it gets wet but one still has to try and install it in Ireland without getting wet during the foundation installation stage. 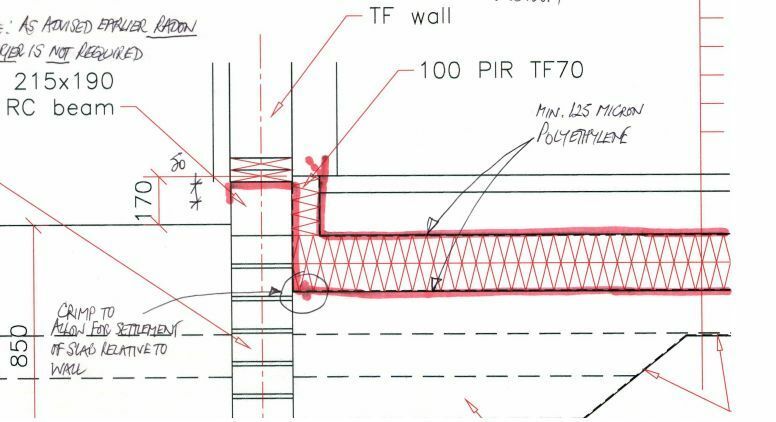 The image below shows the 200 mm insulation installation detail. 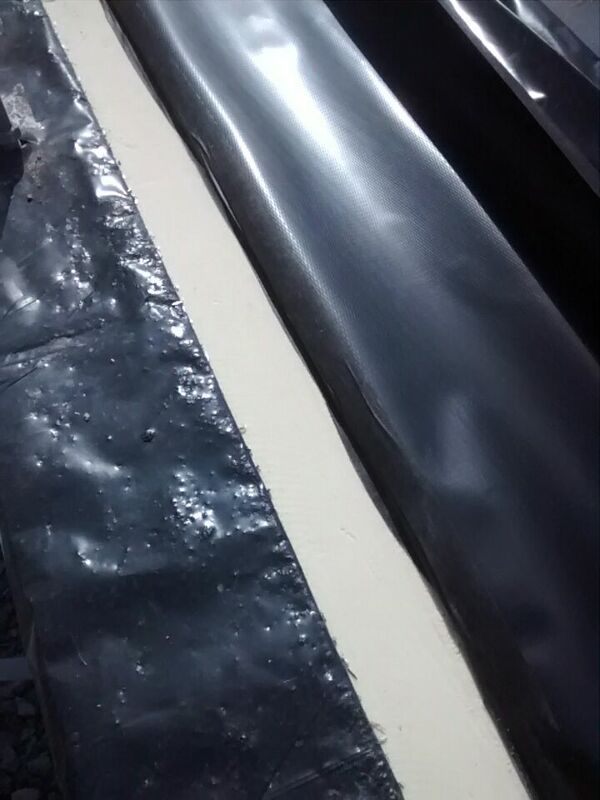 200 mm insulation and 100 mm perimeter insulation using TF70 . For the services such as cables, exterior garden lighting, control wiring, main power cables I decided to use single 40 mm ducts with large sweeping bends for each individual cable. In this way I feel the air-tightness installation will be simpler to install as each pipe will have its own airtight heat shrink. (I anticipate it would prove difficult to create an airtight seal around more than 1 cable.). 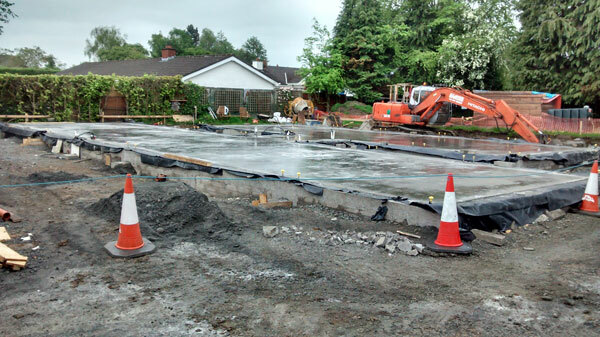 Once the concrete floor slab was poured it was then power floated. In order to cure the floor slowly it was then covered in polyethylene for 14 days. 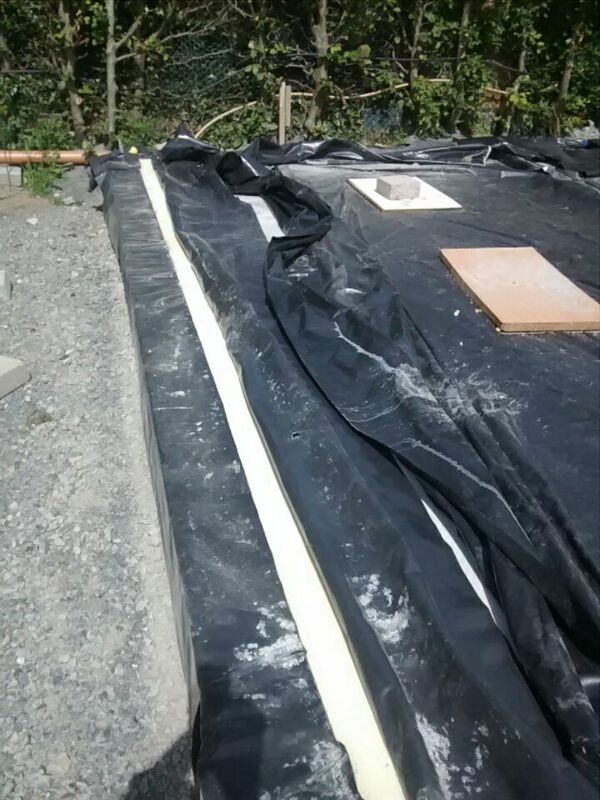 In order to protect the insulation I felt it was necessary to reinforce the polyethylene sheet under the slab before the wooden frame started. 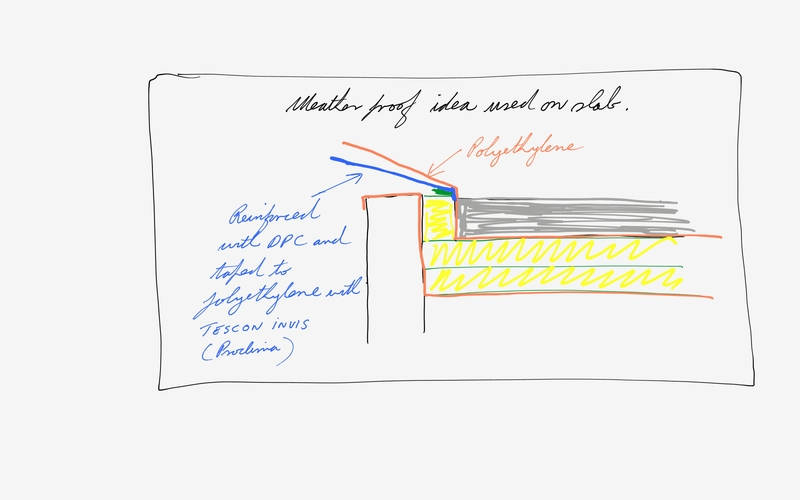 In this way I felt that when the rain arrives that it would divert the majority of the water on the slab over the insulation rather than find its way down around the insulation through small holes from construction work (see sketch of idea below). These are images of before and after using the DPC.